“The next day Wordsworth arrived from Bristol at Coleridge’s cottage…. He answered in some degree to his friend’s description of him, but was more quaint and Don Quixote-like.” These words from William Hazlitt present a Wordsworth who differs from the one we know—and as Matthew Bevis argues in his radical new reading of the poet, a Wordsworth who owed his quixotic creativity to a profound feeling for comedy. Wordsworth’s Fun takes us on a journey through the poet’s debts to the ludic and the ludicrous in classical tradition; his reading and reworking of Ariosto, Erasmus, and Cervantes; his engagement with forms of English poetic humor; and his love of comic prose. 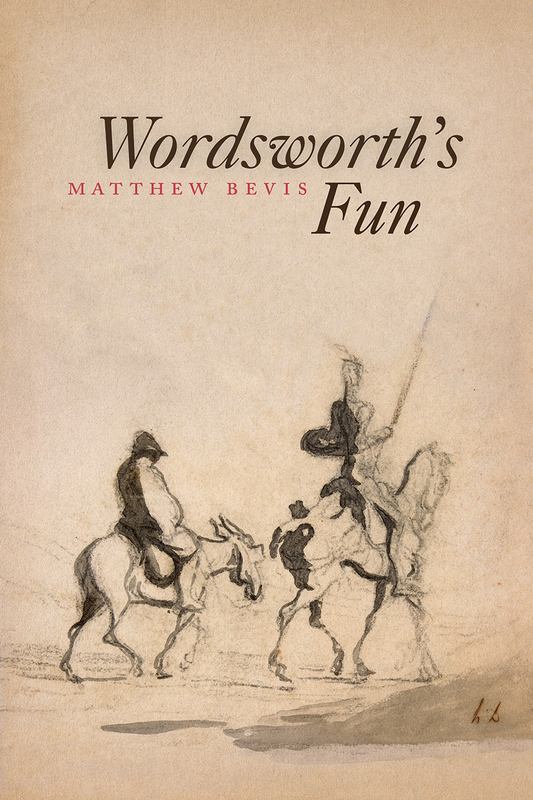 Bevis travels many untrodden ways, examining the relationship between Wordsworth’s metrical practice and his interest in laughing gas, his fascination with pantomime, his investment in the figure of the fool, and his response to discussions about the value of play. Intrepid, immersive, and entertaining, Wordsworth’sFun not only sheds fresh light on debates about the causes, aims, and effects of humor, but also on the contribution of Wordsworth’s peculiar humor to the shaping of the modern poetic experiment.